The Neotropical region hosts one of the highest levels of small non-volant mammal species diversity worldwide, but sampling therein is often intractable due to high logistic and labour costs. While most common sampling methods include live trapping (LT) and pitfall trapping (PT), camera trapping (CT) is potentially a useful technique. Studies assessing data acquisition efficiency for neotropical small mammals are mostly limited to LT and PT, and no small mammal study to date included CT. We provide a comparative assessment of the efficiency of LT (Sherman and wire-mesh traps), PT and CT in surveying small mammal species across 25 sites in an Amazonian archipelagic landscape. Based on 26,184 trap nights, we obtained 782 small mammal records representing at least 18 species. Most species were detected by both LT (72.2%) and PT (83.3%), but each of these methods exclusively recorded additional species, whereas CT detected only nearly one-fourth (N = 4) of all species recorded. Nevertheless, for nearly all species detected by CT, the probability of detecting individual species was similar or higher than that of LT. Species detected by CT represented the largest-bodied rodents and marsupials (> 200 g). Pitfall traps are an important complement to LT, and CT comprises an efficient technique to sample large-bodied small mammals. 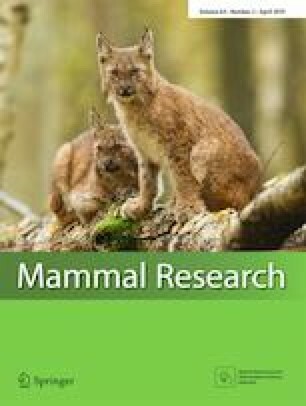 Improvements in the efficiency of camera traps in recording and identifying small-bodied species are both needed and possible, but we recommend the combination of LT and PT methods to enhance the completeness of community-wide small mammal sampling in neotropical forests. The online version of this article ( https://doi.org/10.1007/s13364-019-00429-2) contains supplementary material, which is available to authorized users. We are grateful to all 19 volunteers and field assistants who helped during field campaigns and to M. N. da Silva for helping with species identification. Funding was provided by the Fundação de Amparo à Pesquisa do Estado do Rio de Janeiro–FAPERJ (grant Cientistas do Nosso Estado to MVV), Conselho Nacional de Desenvolvimento Científico e Tecnológico (CNPq; Grant to MVV), Natural Environment Research Council (NERC; grant NE/J01401X/1 to CAP) and the Post-Graduate Program in Ecology of the Federal University of Rio de Janeiro. The Uatumã Biological Reserve provided logistic support during fieldwork, and additional resources or equipment were provided by The Rufford Small Grants Foundation, RFP-Wildlife Conservation Society, The Conservation, Food and Health Foundation, and Idea Wild. AFP and MB were funded by the Coordenação de Aperfeiçoamento Pessoal de Nível Superior scholarship from the Brazilian Ministry of Education.